If you’re a mobile game fanatic and you need something new to chew on, Revolution may be the game you need to last those long bus rides. With simple three-tone colours and a single white block waiting to jump, the game falls into the deceptively easy category, and will remind you of a particular bird that we all wish to forget. Here are our quick tips on how to survive — and hopefully ace — Revolution. The game is created in a way to stress you out. Don’t let it. While it may seem like the walls are closing in on you (literally), all you have to do is to bide your time for that one perfect jump. Anything less and your block will be blown into tiny little pieces. The annoying part about this free mobile game is the tiny strip of ad space at the bottom of the screen. 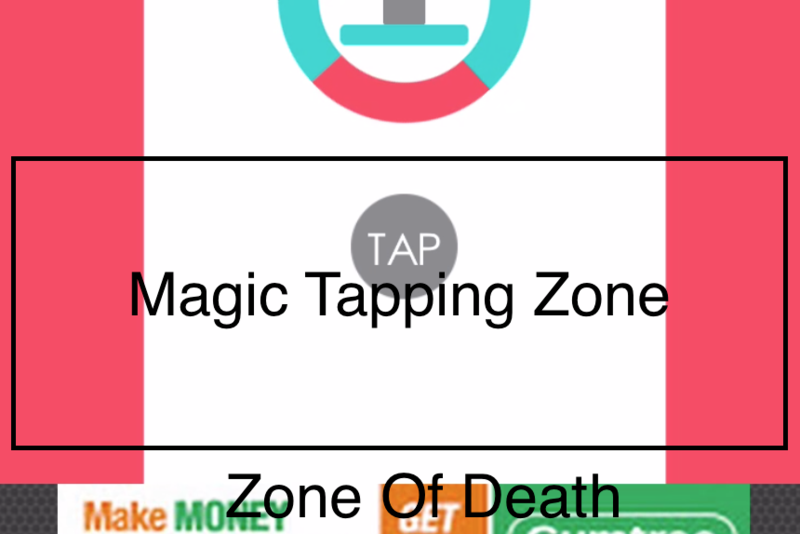 While most other games are smart enough to place them on top, where they don’t interfere with gameplay, this one insists on giving you that death zone of redirection. It’s better to tap lower on the screen so that you can watch both where you’re hopping from and to, but tap too low and you’ll lose your streak. You can pay for the ad to be gone, but would you really? The tricky part about this game is that once you jump onto a platform, the borders around it start to move. If the block touches the red, it gets blown up. If it touches green, it sails through to the next platform. Most of the time, the next platform’s borders aren’t moving, but as you go higher, more borders will be moving simultaneously. The trick isn’t to wait for the space to align, but for the rotation of the second border to align with the block’s arrival. Think ahead, and with time and real concentration, you’ll be able to project two simultaneously moving circles. Sounds impossible, I know. But it’s doable. 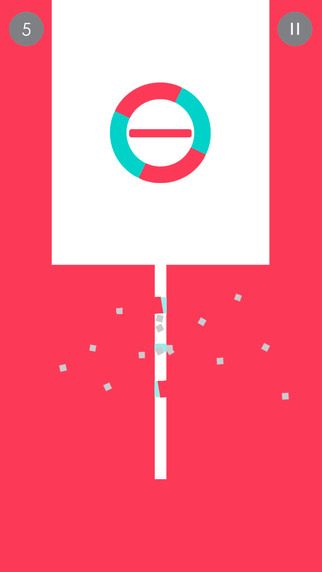 As with Flappy Bird and all similarly painful games, the trick is concentration and patience. Remove all other distractions, shut off all noise, and focus on that one single game. Everyone who’s gotten seriously into a game knows that sweet zen moment where nothing else exists, and your performance in the game works like magic. 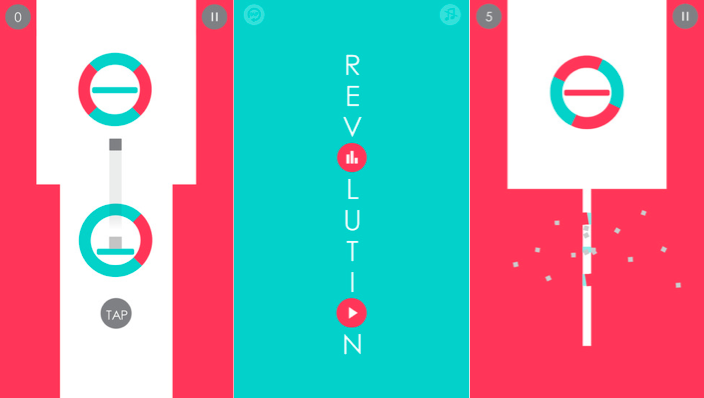 It’s probably horrible for your social life, but great for your Revolution score. Chances are, your average score will lie between 3 and 5 — and that’s okay. With practice you can get better, but don’t be discouraged by low scores. Work towards 20, and brag to your friends until someone hits 21. Repeat indefinitely. Now excuse me while I continue to waste my life away. I have a score to settle — literally. You can download Revolution here.